Lights, Camera, Action, Wedding, Click! With warmer summery weather, wedding bells will be ringing for many Indian couples. Every couple these days desires for a fairy tale wedding day, for some it’s copying The Fat Indian Wedding Day television series at London Hilton Park Lane, Marriott Grovner Square, Sheraton Heathrow Hotel, The Grove, Grosvenor House or Intercontinental Park Lane, whilst others just want to simply get married at Oshwal Centre, Bhaktivedanta Manor / Hare Krishna Temple Aldenham, Stanmore Mandir, The VIP Lounge, Dhamecha Lohana Centre (DLC Hall) or Southall Gurdwara. Last but not least in this mega marital organising saga we now come to wedding day photographers. 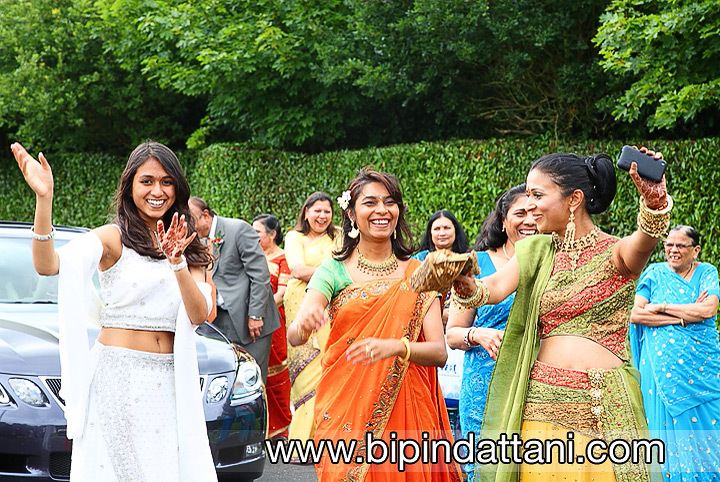 This is where Bipin Dattani Photography come in, an experienced Asian Indian Wedding photographer with many years of experience and provider of natural, candid, photojournalistic style of working. Experience of film cameras, darkroom processing and printing to the modern day digital SLRs and photoshop airbrushing to the highest standard. 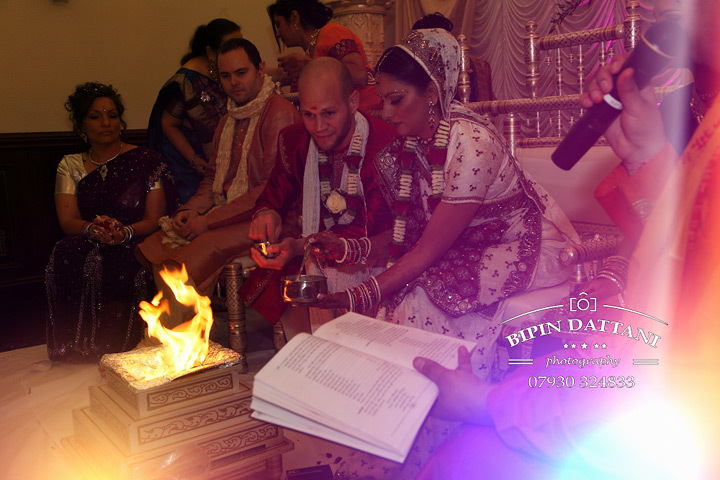 The wedding for any couple will pass by very quickly, from performing the small ritual ceremonies to the wedding vows of agni (fire) ceremony, phera, sindoor to mingling with their guests and sharing their love with their families and the close ones. For the Bride and Groom, this is their “Special Day”. They want to look back to their wedding pictures and albums wanting to see people enjoying themselves. They will want to keep these memories fresh and alive for the years to come. An effective wedding day professional photographer listens to couple’s requests and appropriately prepares their pre-wedding shoot to marriage photos too. A candid shooter is the other factor why couples choose photographers like Bipin Dattani over conventional professional photographers. He and his team are expertly trained to catch every moment of the wedding day artistically. after all photography is all about imagination and creativity. 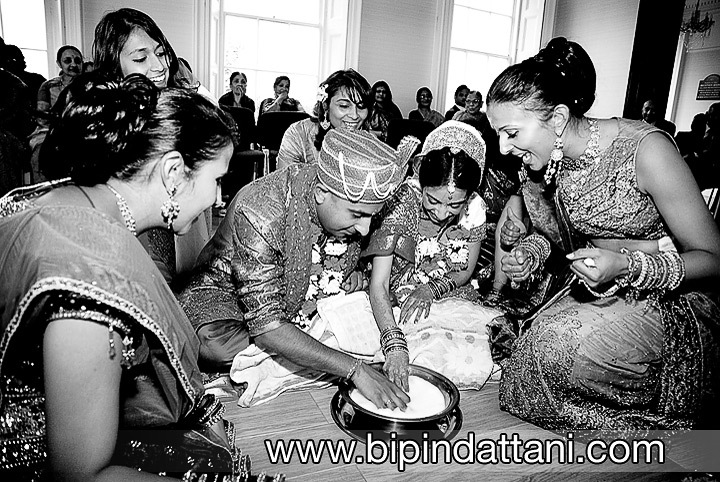 Indian Weddings are actually grand affairs, not simply for the Bride-to-be and Groom but the parents, families and guests. Things have to run smoothly and according to the schedule. With a perfect wedding day, comes a galore filled with memories and it is the task of a Wedding day Professional photographer to record the quintessence of such thinking back minutes. The task of a photographer does not end with the conclusion of the wedding day. Post processing and air brushing the images / photographs to make them look like a million dollars, just like their wedding day. There are many other emerging photographers too, however my question to you is why would you take a risk on such am important occasion like your wedding day? Would you want a consultant or a junior doctor to operate on you? Just my thoughts.